Four Sephora Cyber Monday Sample Bags are available now. Plus, new Black Friday deals and five new GWP at Ulta Beauty! Also, something you might want to know about Saks Fifth Avenue and Nordstrom! Sephora and Sephora.ca (NEW) 10 free trial sizes with $90 purchase! Use code GOBIGGER at check out. Valid online only. OR 12 free gift with $45 purchase! Use code GOBIG at check out. Valid online only. Cyber Monday Sale 2018: Sephora Cyber Monday 2018: Sephora.com/cyber-monday Nordstrom Cyber Monday 2018: Nordstrom.com/cyber-Monday. Ulta Cyber Monday 2018: ulta.com/cybermonday This post may contain affiliate links. Read the full disclosure. Here’s a sneak peek of Estée Lauder Color Portfolio Purchase with Purchase worth $310.00 that you can buy for only $45! Plus, over 100 beauty Black Friday Sales 2018 round-up. Stage Stores (Coming soon) Estée Lauder Color Portfolio Purchase with Purchase (A $310.00 Value). This post may contain affiliate links. Read the full disclosure. This is what we are waiting for Bluemercury Black Friday sale has officially begun, score this beautiful 12 deluxe gift on any $100 purchase. International shoppers, Space NK UK Black Friday sale is available now and you can choose free full size gifts with £50, £100 or £150, enjoy! Ship worldwide! 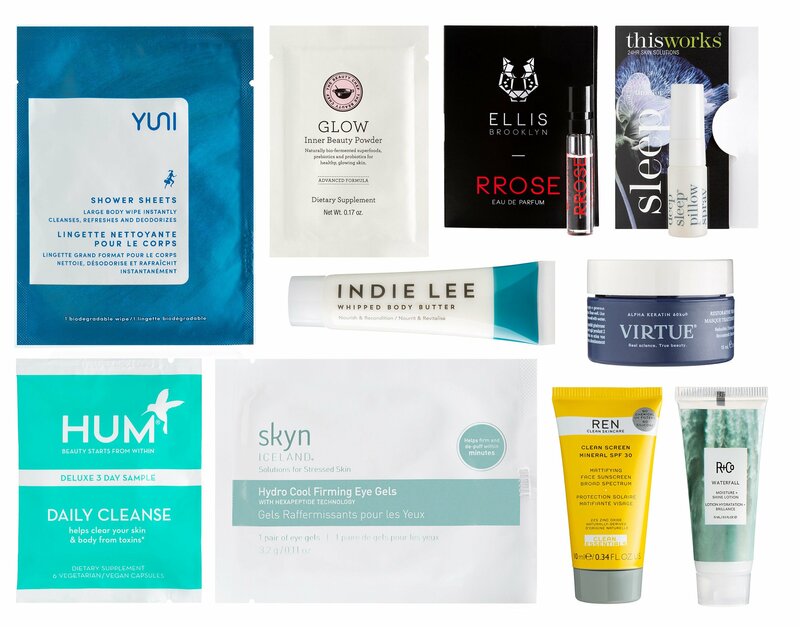 Bluemercury (NEW)(HOT) Receive 12 FREE deluxe beauty samples with your $100 or more purchase. No code required, online only. Valid 11.23 – 11.24. This post may contain affiliate links. Read the full disclosure. Sephora fans, Sephora Black Friday $15 Doorbusters online are available now at sephora.com/black-friday. Shop now at Sephora and Sephora.ca! This post may contain affiliate links. Read the full disclosure. Ulta Black Friday Sale 2018 live now here Ulta.com/blackfriday. Top 22 new and live soon beauty Black Friday deals from La Mer, Boscov’s, Nordstrom, Debenhams, Jo Malone, Marc Jacobs, Ulta, Bluemercury, Sephora, Hautelook, Space NK UK, Biossance, Anastasia Beverly Hills, Clarisonic, Dercorte, Revolve, Urban Outfitter, Beautylish, Walgreens, Amazon, QVC, Lancome and more. Ulta Black Friday 2018 LIVE NOW Ulta Black Friday sale live now at Ulta.com/blackfriday. This post may contain affiliate links. Read the full disclosure. If you are looking for a nouveau sulfate-free body wash that is not only so gentle for winter dryness but also contains skin nourishing ingredients way more than skin cleansing agents, then I have a new holiday gift idea to share. This award winning Atlantic Kelp & Magnesium Anti-Fatigue Body Wash from REN SKINCARE is one of the best body washes for women and here’s the review. The wow reaction from magnesium is very invigorating! Press Sample /Sponsored /This post may contain affiliate links. Read the full disclosure. Nordstrom Black Friday Sale 2018 has begun. For beauty lovers, you’ll get 5 free samples and free shipping on any order. Here’s the $20 and under Nordstrom doorbusters from Guerlain, Urban Decay, Laura Geller and more + over 80 Black Friday GWP and free Nordstrom Notes $20 – $40 with any $300 purchase! NORDSTROM (NEW) Today only! Get bonus Notes when you spend $300 or more. Members get $20 in Notes, cardmembers get $40 in Notes (Not a member? Join today—it’s free!). See all Nordstrom Beauty Doorbusters here. This post may contain affiliate links. Read the full disclosure.